… I was watching “Law and Order” on TV, when, out of the corner of my eye, I saw Lili pouncing and throwing what looked like a 12-inch-long electric wire, A SNAKE! 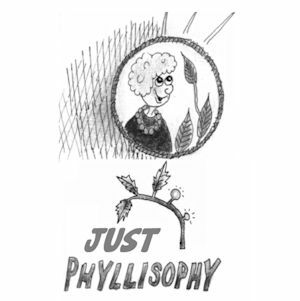 Phyllis watches and speculates about “parading” turkeys in her backyard. The story of the squirrel-proof bird feeder. And don’t miss comic illustration by Cara. Phyllis enjoys her stroll on Route 28, as well as The Franklin Stage Coach Run Studio Tour , The Honest Brook Music Festival, Glimmerglass Opera and last, but not least – The Andes Garden Tour. Clattering birdsongs, and what they were all about.